WHEN IS THE APPROPRIATE TIME TO VISIT THAILAND? Frankly speaking, the most appropriate time to travel to Thailand is between November to February when the northeast monsoon is blowing a mixture of cold and dry air which functions as a break from the heat. The temperature during the wet season in Bangkok varies between 18 to 32 degrees Celsius meanwhile that of northern and northeast Thailand can be somehow cool with morning temperatures as low as 8 to 12 degrees Celsius with the occasional 20-degree day. Nights can be predominantly frosty, and the temperatures in high altitudes do drop below the freezing point. The entire country enjoys the pleasant weather at this time of the year. With less precipitation, the northern temperature is cooler making it more convenient while beaches in the west coast turn to swim pool during the sunshine. 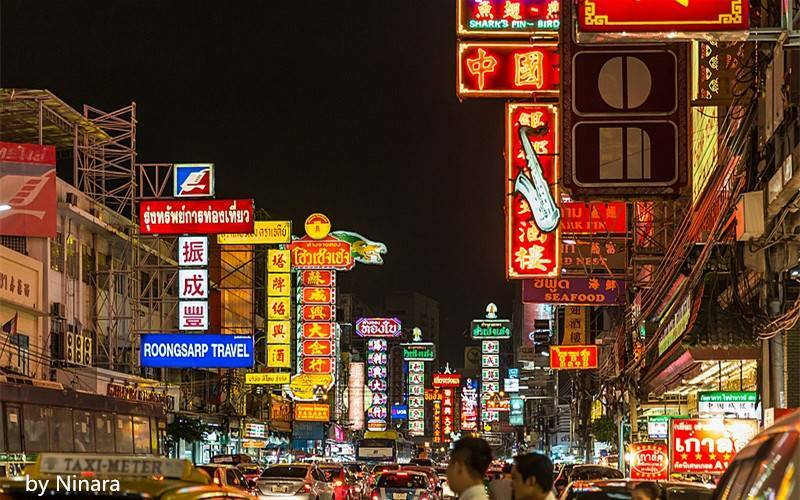 Chinese New Year Festival (date varies); even though there is no public holiday for this, it is celebrated across the entire country especially in Bangkok's Chinatown which turns red and hosts exhilarating dragon processions, street dancing, and fireworks. A little rainfall is accepted towards the beginning of the month across the east coast of Thailand while the remaining parts of the country remain scorching and dry. Even the usual early morning coldness in the morning in the north starts to heat up. During March, good weather should be expected across the whole of Thailand with temperatures rising as high as mid 30°Cs displacing the northern colder weather. This means you can travel to any place inside the country to enjoy sun-kissed coastlines. According to our itineraries, you can tell us what you prefer and our specialists will create a tailor-made tour for you. 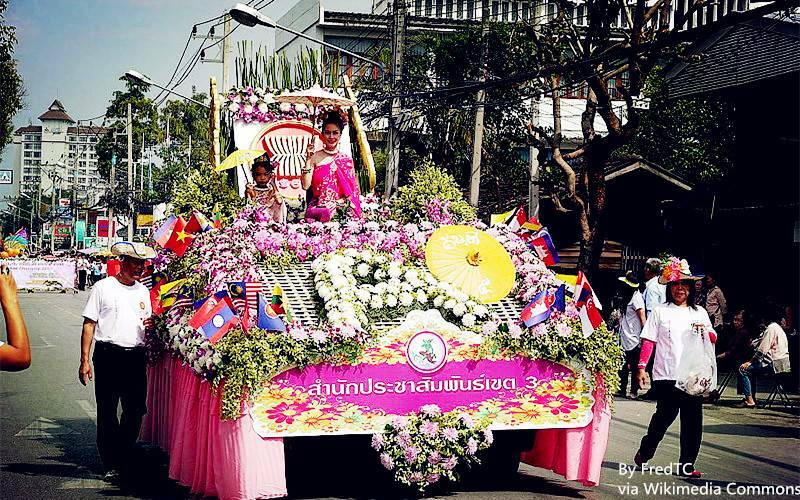 Thailand enjoys the more brilliant weather in April with a large number of tourists trooping in their multitude. If you plan to visit in April, I think it will be better to book your hotel accommodation ahead of the time if you want the best of the hotels. Travelling over Songkran (Thai New Year) will equally give you the opportunity of having a fun-filled experience by joining the celebrations although it might be hectic. 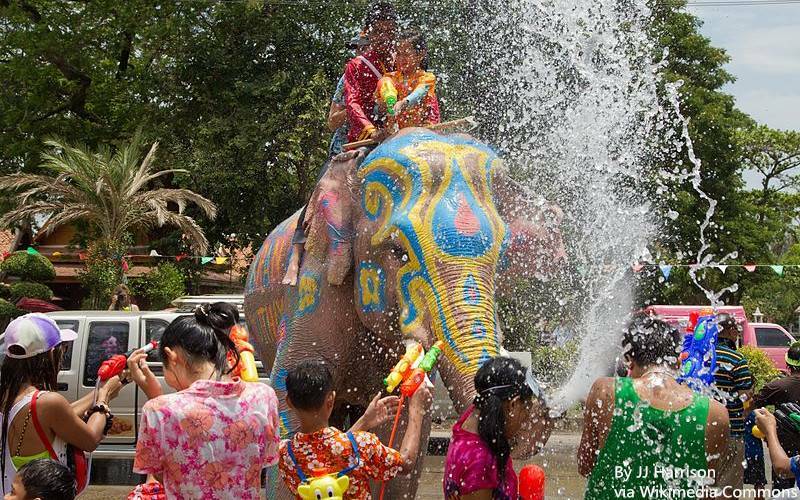 Songkran (13th to 15th April) which happens to Thailand's traditional New Year's Day. Perfumed water is poured on the people and thrown in the street to represent the washing away of iniquities and bad luck. This is a great month to visit Thailand because prices are lower following the peak season. This means that you may be able to take advantage of a shoulder season promotion. A very little shower is expected for the more substantial part of the month, but you have to stick to the east coast if you to be guaranteed of sunshine on the beach. Visiting Thailand in June is good because it will afford you the opportunity of witnessing the last day of the dry season and escape the crowds that come visiting the nation during the vacation of European schools. The whole of Thailand is enveloped with abundant sunshine during this time of the year with many opportunities offered by the by the season. The country begins to experience a little decrease in temperature as showers and wind become more common towards the end of the month. Meanwhile, the sun is still shining brightly on the eastern coastline while some island like Koh Samui Island becomes busier over school holidays. The beginning of the month is t ideal time to visit if you plan to come to Thailand in July. By this period of the year, there is a widespread of showers across Thailand particularly in the northern part that continually experiences heavy downpour of rain. There are fewer visits to the beach during this time. The best places to visit at this time are Koh Samui and Hua Hin islands although you may still experience a few precipitations. September is regarded as the month with the highest amount of rainfall; this makes it the best visiting time for beach enthusiasts. However, those seeking a low season deal with less or no crowd can still have fun exploring Thailand at this time of the year. Rains continue till the start of October with a decrease in temperatures. Moreover, the more comfortable the temperature is, the lower the dampness. As the rain continues to decrease toward the end of the month, it makes it an excellent time for Thailand visit. 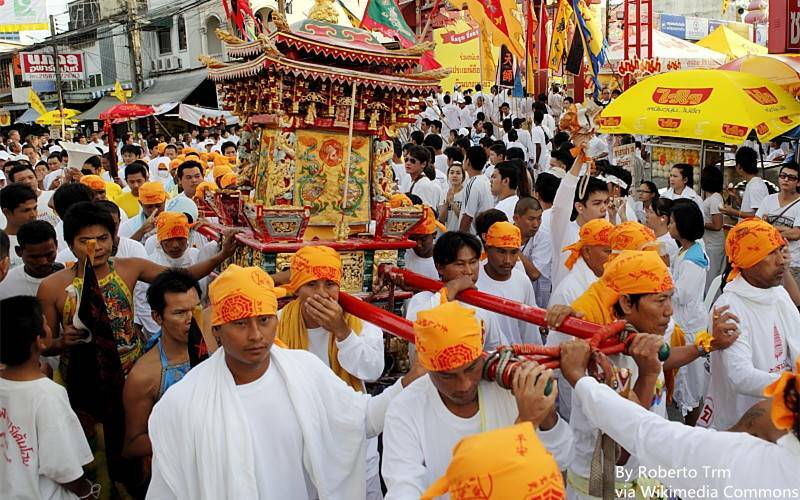 A nine-day festival called the Vegetarian Festival (October) takes place in Phuket to celebrates Chinese's belief that abstinence from meat during the ninth month of the lunar calendar of Chinese year gives sound health and peace of mind. 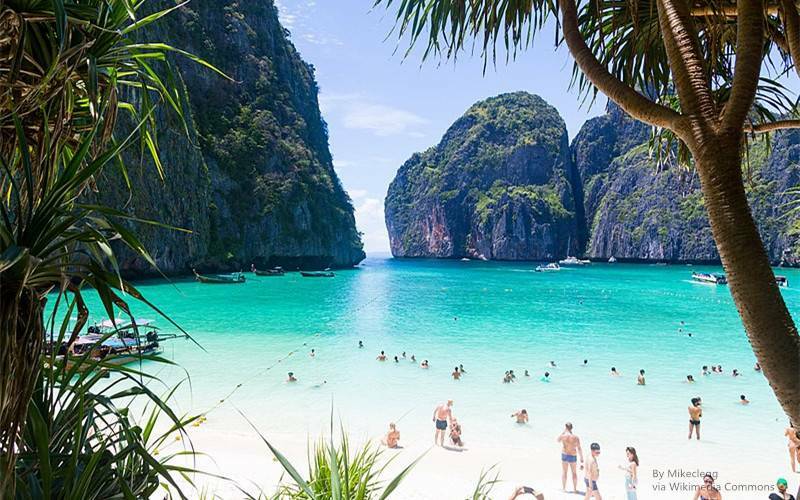 The sun returns to the west coast of Thailand, and the beaches in Khao Lak, Krabi and Phuket starts seeing crowds again. You can beat multitudes if you visit at the beginning of the month. There is coolness in the early mornings and late evenings in northern Thailand as winter approaches. 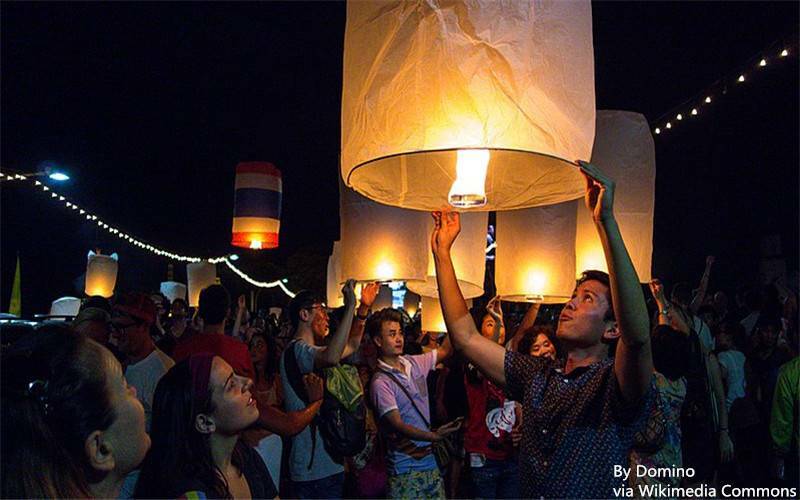 Loy Krathong held in November is a festival mainly celebrated by south-western Thai cultures. Handmade decorated baskets made from banana tree trunks are filled with bread or Styrofoam are sued by the locals to make a wish. It's best to place your booking in advance to secure your preferred option because this is the time that west coast beaches in Thailand prepare for the Christmas blast. With the all-around good weather, this is the best time to visit Thailand. We recommend visiting at the beginning of the month to escape extra hotel costs associated with Christmas time.